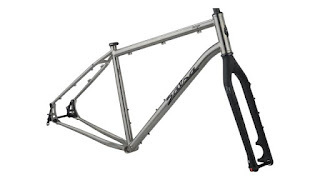 A couple years ago Salsa killed off the titanium offerings in their lineup. They didn't call it a phasing out, and they never said that the titanium frames weren't ever coming back again, but they didn't say much else. That was likely due to the fact that they were going to go to a new generation of the Fargo, which they have done, and the titanium would be introduced later after the steel Fargo. Remember, Salsa Cycles is not the type of company with the horsepower of bigger brands so they cannot simply retool several models at the same time. Although, they've gotten a bit better at introducing a fair amount of new product in one go. The issue with Salsa is now it seems that you have to turn over a lot of rocks to find what you want. I see and hear some stuff many cannot, so I won't comment specifically, but on the consumer side, Salsa Cycles products are.......difficult to source. We get calls at the shop on a semi-regular basis from people looking for specific bikes that are not in the pipeline right now. Heck, my friend had to go out of state twice on two different occasions to get his Salsas. All that to say that if you haven't gotten your Salsa Ti Fargo yet, well.......you'll have to wait a while. I've actually held one of these unicorns in my hands. It should be a good rig. Built like the new steel frames, so 27.5+, 29+, 29"er all fit, supposedly. The frame is more polished looking than other Ti Fargos I've seen. The welds are not like other Ti Fargos either. Not bad, just different looking beads. It's got the ever so slightly different geometry that the new Fargo has as well. It'll be a cool bike for sure when they get built up. I really wish for a Ti Fargo with no suspension correction, but I am quite sure I am in the minority there. I had to bust out the ol' Pofahl single speed rig for this weekend's Geezer Ride '17. It hasn't been ridden since last Fall's Geezer Ride, and the dust was still coated all over it. I took it out Wednesday and wiped it down, but on Thursday's shakedown commute, it got all muddy. Oh well! The weather forecast has turned into a glorious sounding one. High of 80° and winds straight out of the Southwest, which is perfect for this course. We will be going straight into it until we leave Reinbeck and then we should have a quartering tailwind all the way back, for the most part. But in between we will be stopping. The Broad Street Brewery is the venue I will be aiming for and anyone coming along will find it a fine, out of the way little gem of a brewery in farm country. They have a great variety of beers on tap, generally speaking, and everything I've ever had there is palatable, not overbearing in any way, and refreshing. We can grab a bite to eat, if anyone has the need, at the local convenience store, but since this ride starts at Noon, I figure everyone will have fueled up just prior. The end of the ride will take us back again to Prairie Grove Park, but we may find a place to eat then, if anyone has a mind to hang out a bit, or we can all go our own way. Speaking of "way", I will have a few cue sheets on hand, but for the most part we will all be together, so there is no real need to fret over the route. Hope to see some folks there tomorrow at Prairie Grove Park just before Noon tomorrow. 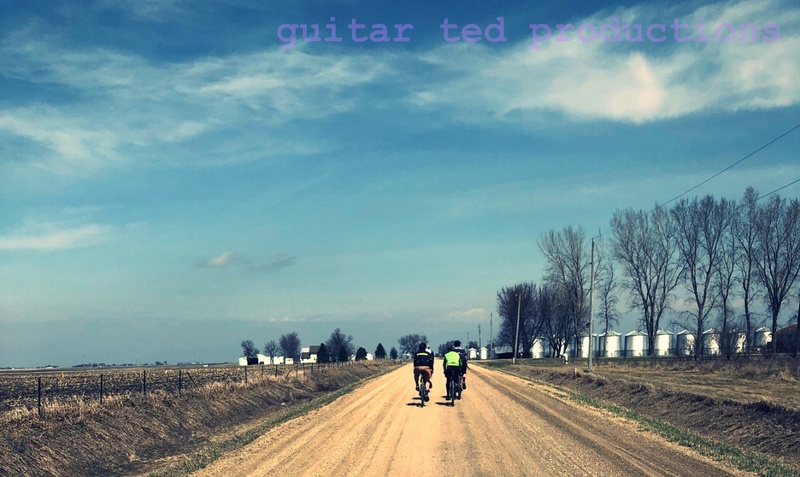 After the Geezer Ride and next week's suppoting gig at the Almanzo 100 at Checkpoint #3 in Cherry Grove Minnesota, I will be focusing on getting set to do the "DK My Way" ride in Kansas' Flint Hills region. This is simply a ride I am doing the day of the DK200 while my friend Tony does the 200 miler. Some may remember my tale from last year. I made a few errors in my route finding that day and missed a great opportunity to ride more North of the city of Emporia. I may be doing that sort of a ride again. I really liked Waubaunsie County. But I also may go to Council Grove as well. Not sure on the exact route plan right now, but it will be anywhere but where the DK200 goes. I don't want to get anywhere near that event. If it happens on the DK200 course, I don't want to be a possibility for blame! So, anyway, I've been doing a little thinking about that ride. I will be taking the Gen I Fargo, most likely. Lots of water carrying capabilities on that bike! I'll likely be needing that too. Anyway, this time I'm looking to get a century ride in. That should be totally doable too. Last year I was back in town by 3:00pm and lollygagging around all afternoon when I could have still been out riding. Hopefully I'll rectify that this time around. Okay, so that's the lay of the land for this week. I hope to have a report on the Geezer Ride for Monday. Have a great weekend y'all! Council Grove has alot of neat things to see, Its worth spending some time.